About Circle-A Construction Company, Inc.
__Circle-A Construction is a general contracting firm that was established in 1981 with three founding partners: Herb Abrecht, Anthony Lucarelli, and Russell Abrecht. They are a well-rounded team with experience in sales, finance, and project management with seventy years of cumulative experience. Herb Abrecht retired as president in 1995. Currently, Anthony Lucarelli is the President of Circle-A Construction and Russell Abrecht serves as Vice President / Secretary Treasurer. __The firm started out with smaller projects for a select group of private clients and as they grew, branched out into the public sector building a wide variety of structures including office buildings, schools, municipal buildings, salt domes, boardwalk replacement projects, and postal facilities just to name a few. In addition, Circle-A was involved in several historical renovation projects such as the Barnegat Lighthouse, the renovation of the Perth Amboy Ferry Slip, the building of a new vocational school (Career Technical Institute) inside the historical Hanger One at Lakehurst Naval Base as well as the historical renovation of the St. George Station Staten Island Post Office. Another aspect of the firm's experience is the building of a wide variety of structures for several branches of the military. For the US Navy, Circle-A completed several projects at Earle Weapons Naval Base such as the Housing Management Office, Fifty-Person UEPH, Gun Deck Club, and the Family Service Center. 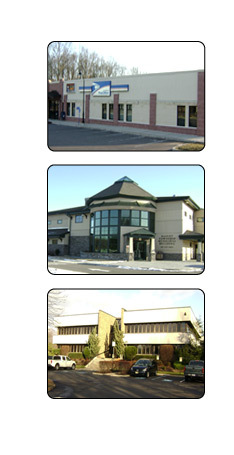 The Family Service Center was a design build project that was a 6,500 square foot housing placement office building. At Lakehurst Naval Base, Circle-A Construction built the Amid Shop Maintenance Facility. At Fort Dix, they built a 150,000 square foot PX retail facility for the Army and Air Force service personnel and in Fort Monmouth the NCO Dining Facility Club. Circle-A also did renovation work for the US Coast Guard Station in Point Pleasant at the Manasquan Inlet. Circle-A completed a major renovation and addition at the PNC Bank Arts Center (formally the Garden State Arts Center). In addition, the firm also constructed the entire half mile of the Avon boardwalk and related pavilions. __Over the years, the company transitioned from a small general contracting firm to a corporation with a solid reputation and the skill to produce high quality diversified projects. Our best advertisement is our list of satisfied clients that we will make available upon request.